Whether we are on a long road trip or at an all day long wrestling tournament, the Nintendo DS is a great way for my children to pass the time. With such a wide variety of games there is something perfect for everyone, including adults. 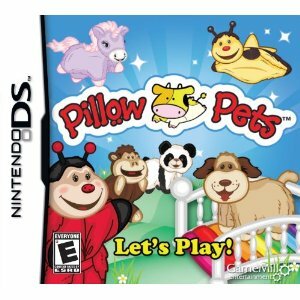 Just in time for holiday gift giving, the Pillow Pets game for Nintendo DS! My daughter is obsessed with Pillow Pets so this was an obvious game choice for her. This game from Game Mill Entertainment combines the cute and popular Pillow Pets and interactive fun right at your fingertips. The graphics are bright, colorful and simply adorable. The game itself captures your child's attention and draws them into the magical adventure. My daughter started playing Pillow Pets on her DS and she couldn't bring herself to put it down. She kept saying... "This is SO much fun. I don't think I can ever stop playing it!" I think her favorite part of the game was, of course, the cute Pillow Pets that she loves and adores. If it were up to her she would own them all! She loved exploring all the magical places and dressing up her Pillow Pets as she earned new rewards and reached new levels. Pillow Pets for the Nintendo DS is simple enough for my daughter to play and enjoy while also being challenging enough to keep her interest! Based on the beloved children’s line of plush pillows from CJ Products that easily transform into snuggly companions, the Pillow Pets game for Nintendo DS invites you to jump, fly, buzz and explore Dreamland, the imaginative world where the Pillow Pets characters thrive. Get to know your charming pet’s personality as you customize him or her with hats, glasses and more! When your favorite pal goes missing, you must set out on a journey to bring your lost pet home safely. But don’t fret! Along the way you’ll meet cuddly friends and uncover tokens and rewards that will make for an unforgettable experience! 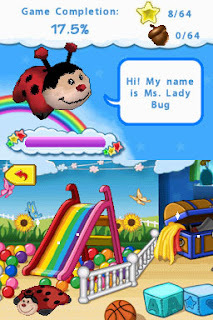 Whether playing alone or side by side with friends, the Pillow Pets game for Nintendo DS creates a nurturing and fantasy-filled adventure that can be enjoyed by boys and girls of all ages. Collectables: Meet and collect up to 16 well-known Pillow Pets characters including farm critters and jungle animals. Beautiful Lands to Explore: Venture into magical lands including Fantasy Woods, Rainbow Valley and Slumber Land Castle. Customization: Accessorize your Pillow Pets™ from head to toe! Up to 40 accessories to unlock from hats, glasses and more. 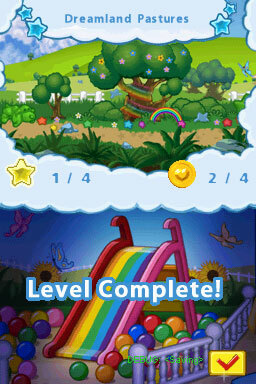 Rewards: Gather tokens, unlock bonuses and garner prizes in each level. **I received one or more of the products mentioned above for free. Regardless, I only recommend products or services I use personally and/or believe will be a good fit for my readers. The views and opinions expressed on this blog are purely my own. Results may vary. I was not compensated in any other way for this review. A special thanks to to the generous sponsor for this wonderful opportunity!